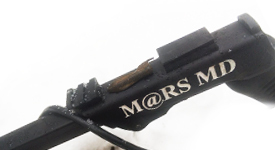 MarsMD Discovery coil has the most optimal size for universal search – 13″. 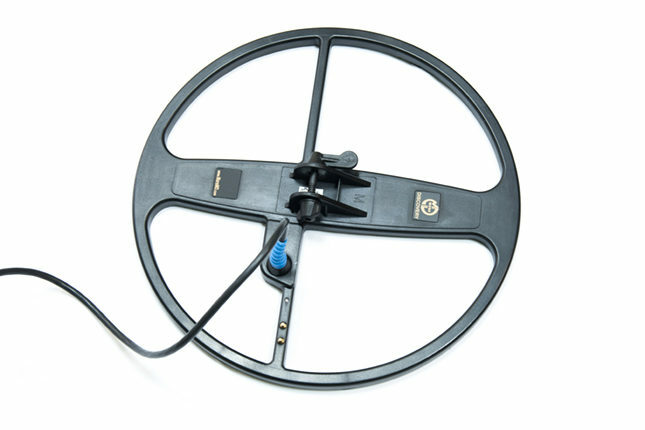 It is a very well balanced, lightweight and reliable coil for a wide range of search tasks. 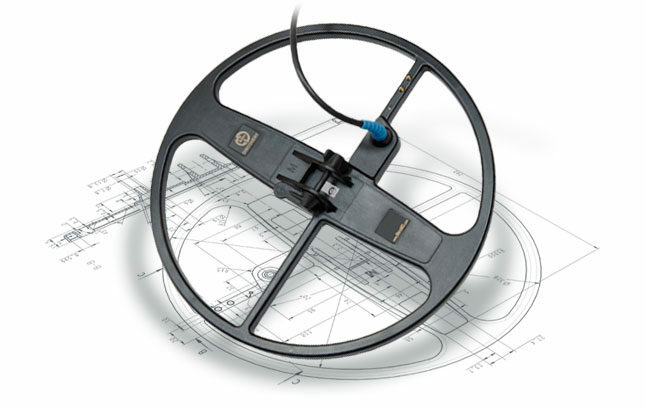 It detects targets at considerably greater depth and provides a larger scan area in comparison to standard coils. GARRETT: ACE 250 / ACE 300 / ACE 350 / Euro ACE / ACE 400; GTI 1350; GTI 1500/ 2000 / 2500; AT Pro; AT Gold. 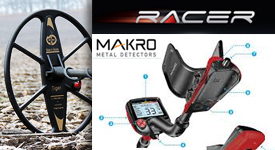 MINELAB: X-Terra 3 kHz; X-Terra 7.5 kHz; X-Terra 18.75 kHz; X-Terra 3 & 7.5 kHz; X-Terra 3 & 18.75 kHz; X-Terra 7.5 & 18.75 kHz; E-Trac / Explorer ХS / Explorer 2 / Explorer SE. RUTUS: Alter71 / Argo NE / Ultima. 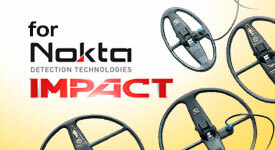 MarsMD coils for Nokta Impact! I have noticed your coils and would like to explore the possibility of introducing them to our customers in Australia. I notice that you seem to be charging this coil with a 9 volt battery. This looks exciting to me, can you explain what this does. Thank you for your interest to our products. We use a 9V battery to change frequency from low 3.5kHz or middle 7.5kHz to high 18.75kHz and vice versa. The new 13 ” discovery coil for your device will go on sale within this month. when en where i can buy this 13 ” discovery for at pro int. As soon as this coil is available, we will surely inform you where to buy it. Thanks for your interest to our products. 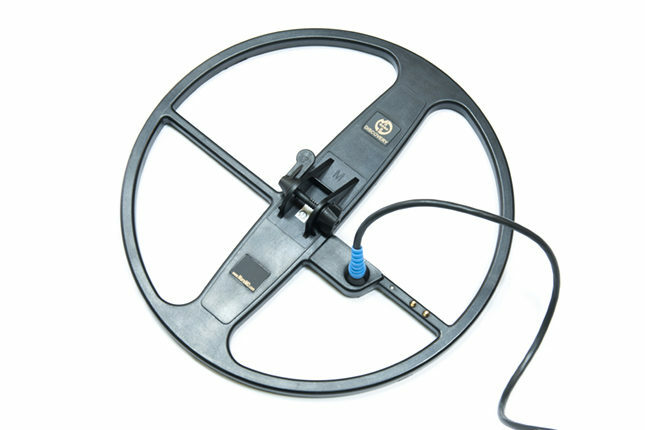 For metal detector Teknetics Alpha 2000, there is such a coil? 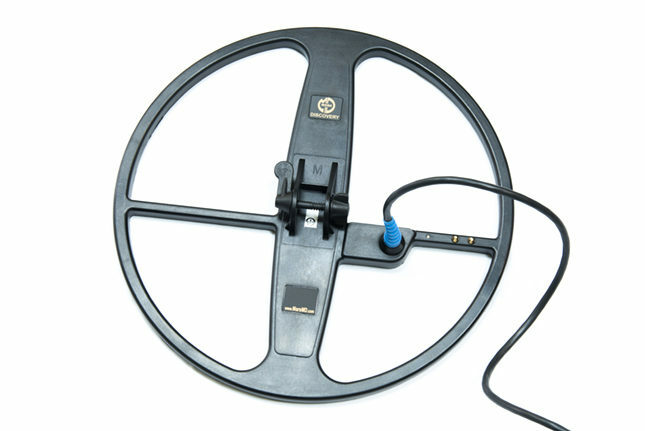 At the moment there are Tiger and Goliath coils for Teknetics Alpha 2000 metal detector. Discovery one will be within this month. I would like the discovery coil for Garrett at pro is it available yet? If so, where can I buy one? Yes, this coil is available. 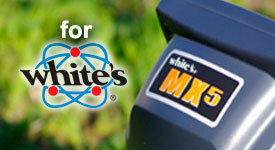 For purchase see our “Where to buy” page, find the dealer nearest to you. Is the Discovery avilable yet for the Teknetics G2+? Yes, the Discovery is available for the Teknetics G2+. Contact our dealers. Hello! I would like to purchase Mars discovery for my xterra 705. What would be price and how about posting it to UK. You can get all information about our products (prices, etc.) from your local dealer in UK. Please find the contacts on our “Where to buy” page. but i wish to know on the DISCOVERY coil for the T2se what function the two little spikes on the coil perform as the t2 is a single frequency machine ??? The Discovery coil is designed for multi-frequency metal detectors. These two little spikes switch over to the other frequency. Thanks for appreciating our products. Yes, our coils are compatible with AKA detectors. marsmd discovery coil is unfinished,centre spar has no resin protection,missed out qualty control completely.you need a good name in business,wasted time and money waiting for it,then watch joy drain from my sons face realising his gift is un usable! The Discovery coil is designed in such a way that the centre spar shouldn’t have any resin protection. The hollow spar has shock absorbing qualities when you hit the coil against stones. If the spar were sealed with resin, there would have been solid construction and you would have had a crack on your coil when hitting against a stone. i must offer my humble appology on my post last christmas,the coil is great,the spar issue was after veiwing the makro coil not the teknetics g2+,i also bought the mars pointer,which is ‘false’ free and great in silent vibrate mode.mars md have proved their worth,by posting all comments.negative or positive. well done.honesty pays. We are very glad you have appreciated our products. Hopefully you won’t be disappointed in the future. Thank you for your feedback. 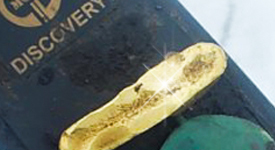 The MarsMD Discovery provides greater detection depth as compared to the Garrett AT Gold standard coil. As for the video review of its performance, we will try to make it in the closest time. 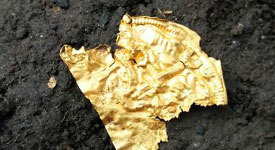 No, the MarsMD Discovery isn’t being made for Golden Mask metal detectors. The benchmark should be the coil ears – they mustn’t be broadened out. If you have both washers, the fitting is tight, but the ears aren’t broadened outwardly – then it’s OK. If you have one washer and there isn’t gap clearance between a lower shaft and the coil ear – it also fits tightly – then you can also use it. Good day I have a question about the discovery . I have a white’s DFX and it uses two frequencies simultaneous , namely 3 KHz and 15 KHz. Is thuis also possible with the discovery. Yes, this will also work with the Discovery. Hi, can I know the weight of Discovery coil for Makro Racer? The Discovery coil for Makro Racer weighs 534 grams. 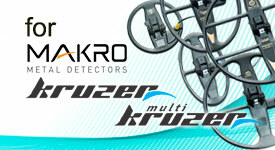 I have the Tiger for my Makro Racer 2 and it is incredible! The Tiger for my 705 was excellent two years ago! I recently purchased the Tiger and Discovery for my G2+ from my Andrey with detectorcovers.com…. I cannot wait to get them! They are going to be delivered to me soon! Keep up the great work, I would love to promote your company in the United States of America, please email me if your interested! Thanks for your appreciation of our products. We’ve replied to your e-mail. hello can buy Discovery coil to contact me xp GMAXX 2 thanks !! For purchasing information please refer to the dealer nearest to you. Today I tried my new Discovery coil on my AT Gold. I noticed some interference at the end of each swing. Any idea what the cause may be? – check whether your boots don’t have steel toe. If there are no changes, then please send the coil to us. What dealer did you buy this one from? Followed your advice and rewrapped the cable like you said. Working OK now, thank you. I bought it from Pieterman Metaaldetectors in Holland. We are glad that everything is OK and wish you happy hunting! hello no provider in France for the discovery to GMAXX 2 ???? We’ve just got an updated order from our dealer in France (with the Discovery for GMAXX 2 included). So as soon as it is delivered, you can buy this coil from him. The Discovery for these machines works on 5 & 12 kHz. Unfortunately we aren’t making coils for the Golden Mask 5 at the moment. Your 13 coil better than Detech 13 ultimate coil(depth and sense.Do you have compared video? As an example you can see this one at https://www.youtube.com/watch?v=sjUWV1eliHU. I require a coil to operate on a sandy beach on a Garret Ace 250. Would this coil be capable if used with this detector? Yes, Discovery is an excellent choice for beach hunting! Mars Goliath and Mars Tiger. Hello. 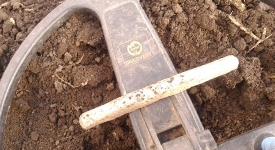 I am the owner of White’s Spectra V3i metal detector. Have you got coils that are full compatible with White’s Spectra Detectors the same as original White’s coils. I got Mars Goliath coil with label Dfx/Mxt. There was no Spectra label on this coil and it don’t work properly on 22.5 kHz frequency as the original 10 DD coil. There are separate coils suitable for White’s Spectra V3i machines, and they aren’t interchangeable with those for DFX/MXT. I am looking for new coil for my Makro CF77. Is this coil a good choice ? Yes, Discovery will definitely reveal your Makro CF77’s full potential. If you already have a standard 10″-12″ coil, than it’s better to choose a Goliath. If you don’t have this one and you need a versatile coil, then a Discovery will be better. So you can choose a Discovery, try it in your hunting conditions, and you’ll see whether you need the Goliath or not. No, we don’t have a video with the Mars Discovery on Fisher F75. Do you have Mars Discovery for Fisher F44? We’ve replied to your e-mail. 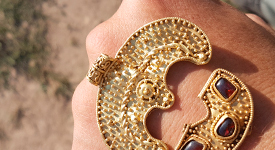 hi do you have a project for a nokta relic/fors gold + coil?? i think it’s was a good project . 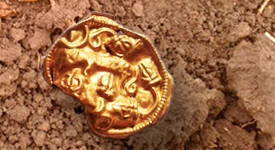 Unfortunately, we aren’t planning to manufacture the coils for the Nokta Fors Relic/Fors Gold at the moment. Hi , HE IS A BIT OF POSITIVE COMMENT . I HAVE THE DISCOVERY COIL FOR MY IMPACT . WITHIN 5 SWINGS POPPED A GOLD RING . IN A FELD I HAVE HAMMERED . ALSO I FIND IT GB’S STRAIGHT IN DARE I SAY A LOT BETTER THAN THE STOCK COIL LOL . I HAVNT REALLY HAD A DECENT HUNT WITH IT MAYBE THIS SATURDAY LOOKING FOR A LOST MEDEIVAL VILLAGE IN PASTURE . FIRST IMPRESSION EXCELLENT COIL . SEE HOW GOOD IT IS OVER THE NEXT FEW WEEKS ON THIS NEW PERMISSION . CHEERS THE MARS TEAM FOR DEVELOPING THE DISCOVERY FOR THE IMPACT .DONT THINK I WILL TAKE IT OFF . Thank you very much for your feedback. We are extremely pleased that you’ve chosen our product and really like it. We in turn wish you happy hunting and awesome finds no matter which machine or coil you use! hi i want to buy discovery for golden mask 4 pro in norway , but i can find only for garrett , its must be for golden mask detectors ??? o its ok to buy for garrett and its wil work ? The coils for Garrett’s machines aren’t compatible with the Golden Mask 4 Pro, you need a coil with a proper decal on it. Please ask the dealer in Norway to include your desired coil in their next order. Or alternatively, you can refer to any other European stockist that have these ones available.